SUPER arrives on September 25th! 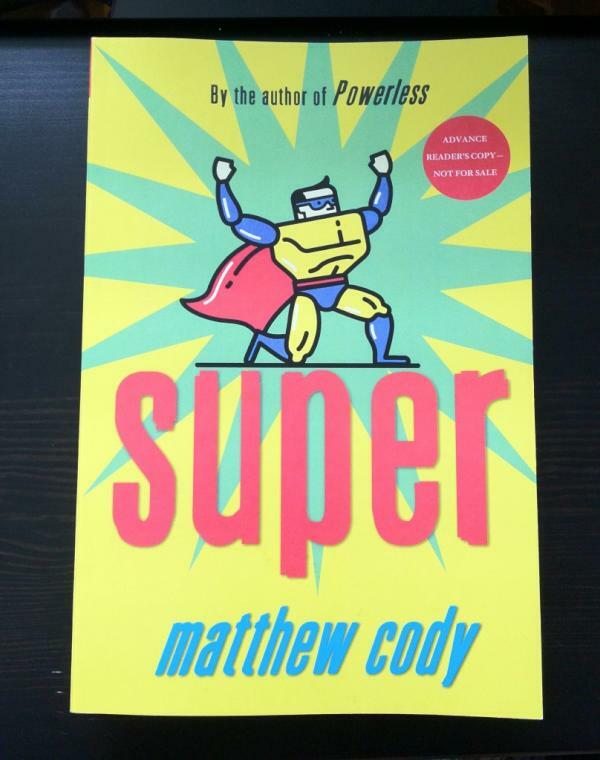 The advanced reading copies are out in the world, so it’s time to reveal the cover to the sequel to POWERLESS! “Daniel Corrigan is as regular as can be, especially when compared to the Supers: kids in his new hometown with actual powers like flight and super strength. But Daniel’s not powerless. Only he was able to stop the Shroud, a supervillian bent on stealing his newfound friends’ powers. And thanks to him, his friends got to keep those powers. This entry was posted on March 13, 2012 at 8:11 pm and is filed under Middle Grade Books, New Book, Powerless, Super, Writing, YA Books. You can follow any responses to this entry through the RSS 2.0 feed. Responses are currently closed, but you can trackback from your own site.